*BLS Passport Service moving location from September 22, 2014. 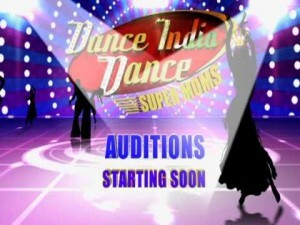 *ZEE TV Americas is all set to open doors for Dance India Dance Super Moms North America. 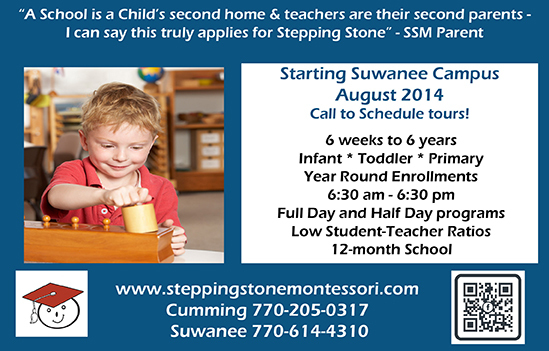 *Stepping Stone Montessori starts a Suwanee campus August 2014. 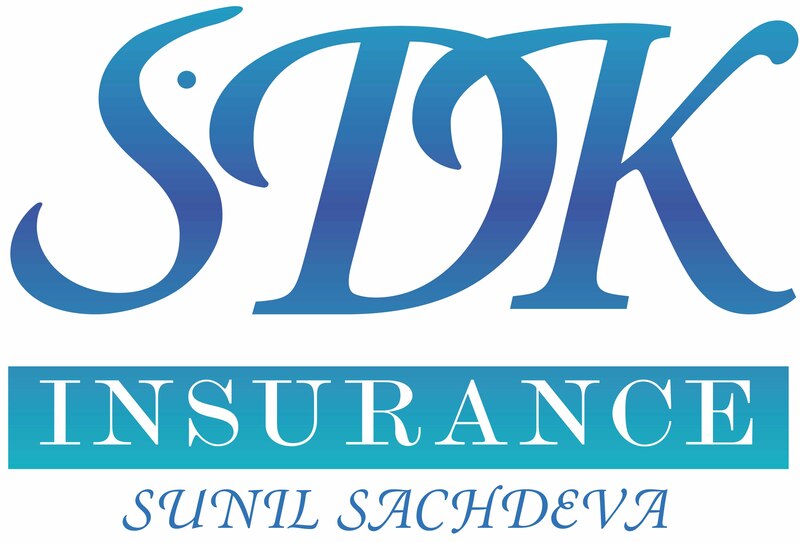 Cox & Kings Global Services Pvt. Ltd. from May 21, 2014. *MassMutual and AAHOA Help Asian-Indian Hotel Owners Sustain Business through Boom and Beyond. *Zee Cinema Exclusive Broadcast Partner of SAIFF. Joy TV Network, the first Indian-owned broadcasting station in the Southeastern United States, announces its operation in Atlanta. This broadcast, anchored at Channel # 21, is a FREE TV network available to all residents in the coverage area. Apart from the HD television ​channels, Joy TV will also be airing a number of 24x7 radio channels in various Asian languages. There will be a free app available for download, which will enable live/recorded telecast of the programs. Apart from English and Spanish channels, Joy TV will have multiple channels in various Asian languages, including Hindi, Gujarati, Tamil, Telugu, Malayalam, Korean, Chinese, and Vietnamese. Unlike other Asian Channels, which are available only by live-streaming through internet, these channels will be available free-on-air. 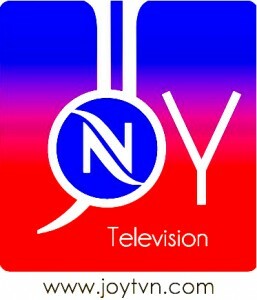 Joy Television Network has a state-of-the-art recording studio and equipment. The programs are slated to go live in March 2016. It will have facilities for recording ​local/​national news, cultural events, health, sports, test kitchen, spotlight on young entrepreneurs, and educational/informational programs. Major local news and events will be broadcast live, while other events from around the US will also share prime airtime. Initially the programs of Joy TV are scheduled to cover nearly 5 million viewers while efforts are on to broadcast through ​cable carriers to telecast these programs to a wider audience. Joy TV is open to partnering with ​producers to ​develop programs for open/targeted audiences. It is also possible for interested parties to lease air-time from Joy TV’s channels. Joy TV welcomes inquiries from media corporations and public relations organizations about leasing an entire TV channel to broadcast their own programs. Vibha’s vision is to ensure that every underprivileged child attains his or her right to health, education, and opportunity, or more simply, to provide an environment that enables each underprivileged child to reach his or her potential. By bringing together the skills, passion, and drive of thousands of like-minded volunteers, Vibha disburses approximately 90% of all donations to fund and scale social change projects in India and the US. To date, more than 300,000 children have been directly impacted through its efforts. As part of aiming for a strong ‘final lap’ to its 2015 fundraising efforts, Vibha has launched a Year End Drive aimed at shining a light on the various means by which donors can make an impact. While one-time donations are always welcome, Vibha has developed unique mechanisms to amplify the impact of contributions. Such mechanisms include partnerships with corporations to match select donations; providing the ability for donors to contribute to a specific cause or project; and creative ways by which donors can make a difference by donating stocks or a used vehicle. Binged on turkey and football on Thanksgiving – check. Fought through the madness to score deals on black Friday – check. Comparison shopped to get the lowest price on that TV you have been eyeing on cyber Monday – check. It may be time to add another tradition to the festival season - #GivingTuesday (12/1/15). This tradition will leave your wallet lighter but is sure to make your heart fuller. Giving Tuesday is ‘a global day of giving fueled by the power of social media and collaboration.’ In its fourth year, the movement has been transformative in shining a spotlight on charitable efforts and provide a rallying theme for individuals, corporations, nonprofits, and communities to encourage donations to worthy causes. Since times immemorial, community service has been treated as God’s service. In the Metro Atlanta area a nonprofit organization called Guiding Force of Atlanta (GFA), run under the auspices of Atlanta Event Hall, Duluth, Georgia, has been serving people from different nations such as India​, Pakistan​, Bangladesh​, Nepal, Sri Lanka, and other nations of South Asia. Recently, this nascent group has organized many free events which include health fairs for the needy, especially for individuals without any medical insurance and job fairs for fresh graduates and people seeking re-employment. On the cultural note, GFA has organized umpteen highly successful events like Chand Raat Mela and Eid Mela for the Muslim community, Dushera and Deepawali Melas for the Hindus, weekly evangelic meets for Christians, and other communities like Buddhists and Jains were also included. Fashion Shows have been signature events to identify and promote young talent among South Asians, nurturing young entrepreneurs. 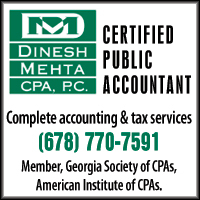 GFA is now working on the concept of a Free Public Library in Gwinnett County for South Asians. 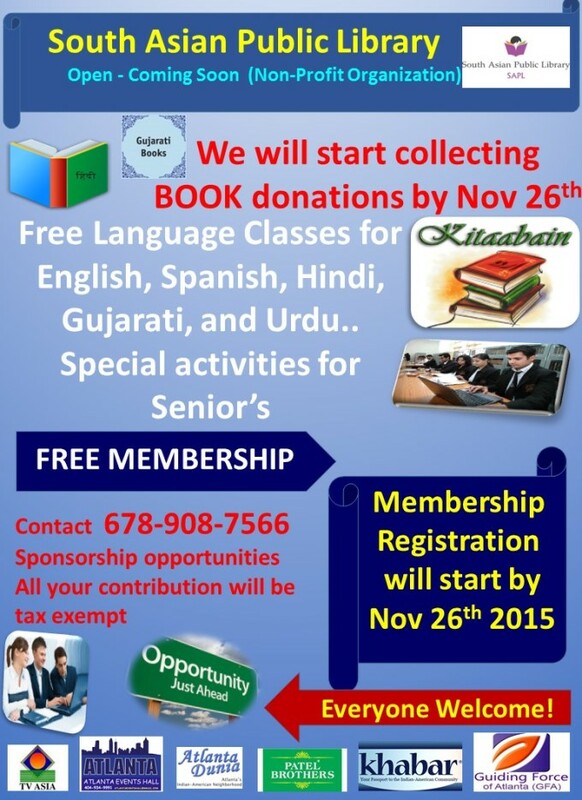 Preparations are on to gather books in Hindi, Urdu, and Gujarati. Other languages will be gradually added. Donations for books and other literary materials are being accepted. Free basic computer skills classes will be offered in the library for the aged and computer newbies, as well as language classes. Ramzan Virani has presented his library project to Governor Deal and Lt. Gov. Casey Cagle, as well as Consul General Nagesh Singh and Consul (Head of Chancery) D. V. Singh. In a very short span, GFA and its parent body, Atlanta Events Hall, were recognized for their work by Governor Nathan Deal and Lieutenant Governor Casey Cagle. The Consul General of India in Atlanta Shri Nagesh Singh also recognized the service rendered by GFA and Mr. Ramzan Ali Virani, the founder of this organization. The Persons of Indian Origin (PIO) Card notification has been withdrawn with immediate effect and further it has been notified that all existing PIO Card holders will be deemed to be Overseas Citizens of India (OCI) Card holders. Now only one OCI Card with enhanced benefits is in existence. The Prime Minister Shri Narendra Modi had announced in USA and Australia during his recent visits that the PIO and OCI cards will be merged and the Indian Diaspora will be given maximum possible benefits. Keeping in view of the promise, an Ordinance was promulgated on January 6, 2015 whereby the eligibility and additional benefits of PIO Card have been incorporated in OCI Card and certain other relaxation to OCI Card holders have been given by amending the Citizenship Act, 1955. There used to exist simultaneously the PIO and OCI Cards, leading to a lot of confusion prevailing among the PIOs residing abroad. Today’s notification is going to fulfil long cherished demand of Indian Diaspora abroad. In case the PIO card holder has new passport then he/she can travel to India on their new passport with the valid PIO card and old passport mentioned on the PIO card. Consular applicants (including OCI/PIO applicants) may visit the Consulate at the Consulate General of India, 5549 Glenridge Drive NE, Atlanta, GA 30342 from 10.00 am to 12:30 pm on all working days or send an email at contact@indianconsulateatlanta.org (for visa, passport, OCI, PIO and renunciation matters) for redressal of their grievances including those from the service provider. 2. All Passport Issuing Authorities have instituted a simple and fast-track procedure for renewal of passports. For more details related to passport services, website - www.passportindia.gov.in - or the National Call Centre (1800-258-1800 - Toll Free) may be accessed. Indian citizens living abroad should visit the website of respective Indian Mission/Post. The Asian American Hotel Owners Association, headquartered in Atlanta, Ga. is offering the opportunity to lead one of the nation’s fastest growing travel industry associations. The ideal candidate will be an accomplished leader who brings proven skills and the ability to serve as a powerful and effective public spokesperson to broaden the association’s visibility, impact, effectiveness and membership base. One of the fastest growing association’s in the industry, association members number more than 12,500, own more than 20,000 hotels totaling $128 billion in property value, and employ 578,600 full- and part-time workers with a $9.4 billion payroll. AAHOA has a current budget of $9.7 million and a staff of 27. With the impending departure of its long-serving president of 18 years, the association now seeks a talented new leader. The next President of AAHOA will lead its members, board and staff to capitalize on the organization’s phenomenal growth over the last few years and position it for even greater impact in the industry and long term sustainability. 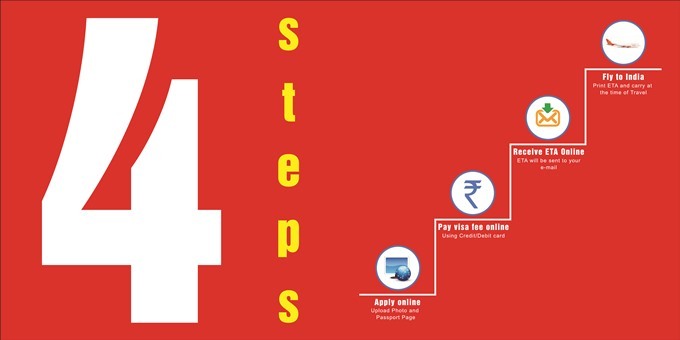 The e-visa scheme presently covers 45 countries and can be availed across nine international airports. With the expansion of the scheme by June, the list will go up to 76 countries and 16 airports. Among the countries whose citizens will now be eligible for e-visas are Argentina, Armenia, Aruba, Belgium, Colombia, Cuba, Guatemala, Hungary, Ireland, Jamaica, Malaysia, Malta, Mongolia, Mozambique, the Netherlands, Panama, Peru, Poland, Portugal, Slovenia, Spain, St Lucia, St Vincent & the Grenadines, Surinam, Sweden, Tanzania, East Timor, Turks & Caicos Islands, the UK, Uruguay and Venezuela. The airports to be added to the existing list of nine where foreign citizens from eligible countries can land with an e-tourist visa are Jaipur, Amritsar, Gaya, Lucknow, Trichy, Varanasi and Ahmedabad. 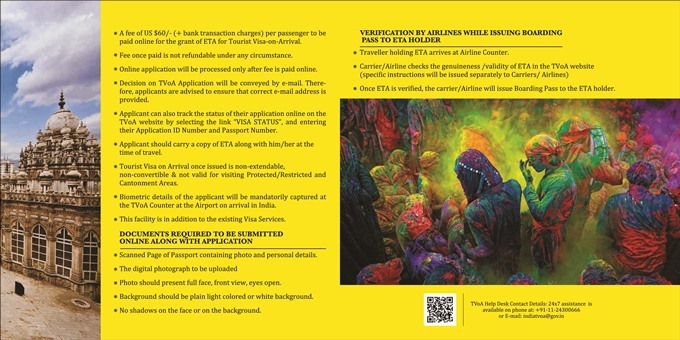 Union Home Minister Shri Rajnath Singh, along with Dr. Mahesh Sharma, Minister of State (I/C), Tourism & Culture and Minister of State for Civil Aviation launched the Tourist Visa on Arrival (TVoA) enabled with Electronic Travel Authorization (ETA) Scheme here today. The facility will be available at nine international airports in the country namely Delhi, Mumbai, Chennai, Kolkata, Hyderabad, Bengaluru, Thiruvananthapuram, Kochi and Goa. 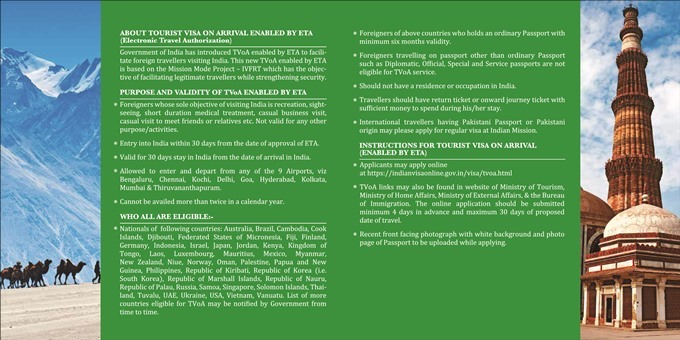 The TVoA enabled with ETA Scheme will facilitate nationals of 43 countries including Australia, Brazil, Cambodia, Cook Islands, Djibouti, Federated States of Micronesia, Fiji, Finland, Germany, Indonesia, Israel, Japan, Jordan, Kenya, Kingdom of Tongo, Laos, Luxembourg, Mauritius, Mexico, Myanmar, New Zealand, Niue, Norway, Oman, Palestine, Papua & New Guinea, Philippines, Republic of Kiribati, Republic of Korea (i.e. South Korea), Republic of Marshall Islands, Republic of Nauru, Republic of Palau, Russia, Samoa, Singapore, Solomon Islands, Thailand, Tuvalu, UAE, Ukraine, USA, Vietnam and Vanuatu. Launching the facility, the Union Home Minister said that India has a unique advantage in tourism sector owing to its geographical location and that no other country offers such abundance of persity in weather conditions. He also assured that his Ministry would ensure a safe and secure environment for visiting foreign tourists. Speaking on the occasion, Minister of State (Independent Charge) Tourism & Culture and Minister of State for Civil Aviation, Dr. Mahesh Sharma reiterated Government’s priorities: “Our Government is acting swiftly to fulfill the promises made to its people. 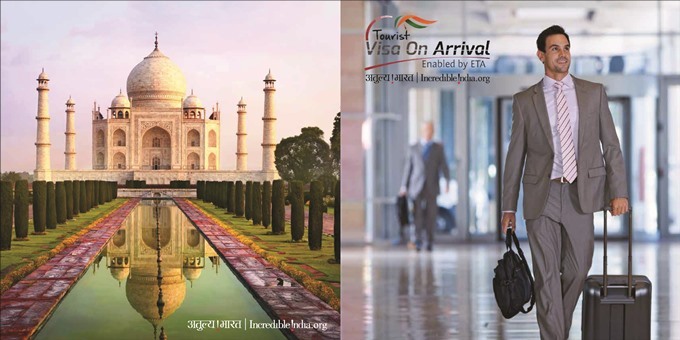 Today’s launch of Tourist Visa On Arrival (TVOA) facility enabled with Electronic Travel Authorization Facility (ETA) is one step in this direction”. It is bound to positively impact the economy of the country, he added. “The implementation of TVoA enabled with ETA will send a clear and powerful message that India is serious in making travel to the country easy”, the Minister hoped. The citizens of these 43 countries can apply online for tourist visas (twice a year, each visit not exceeding 30 days, visa duration non-extendable except in the event of medical emergencies) which shall be granted within 72 hours through email. The purpose of the visit may range from tourism, casual business visit, short term medical treatment, to meet friends and relatives. The applicant is expected to take a print of the email and can travel to India through 9 designated international airports (Bangalore, Chennai, Kochin, Delhi, Goa, Hyderabad, Kolkata, Mumbai and Thiruvananthapuram). The TVOA-ETA scheme entails capture of biometric data of the visitor on arrival at the airport. A PDF format copy of the TVOA-ETA brochure is below for reference. Cox and Kigs Ltd., the outsourcing agency for Indian visa, OCI, and PIO cards reached out to the Global Organizaiton of People of Indian Origin to brief GOPIO officials and update them on the services they are providing. There have been wide critricism of their services after they took over from the earlier agency, BLS Internaitonal. At an earlier GOPIO-CT community interaction meeting in July with Indian Consul General Dnyaneshwar Mulay who was accompanied by his fellow Consuls Mr. Ajay Purswani (Passport/Visa) and Mr. Dhirendra Singh (OCI/PIO and Community Affairs), many issues and problems were brought to their attention. These included complaints with previous outsourcing agency BLS International and the new agency Cox and Kings. One main complaint was, Cox and Kings can’t be reached over the phone and their tracking systems did not work well. Other complaints included the outsourcing agencies losing passports, not sending the documents back by mail or Fedex even though it was paid for, unusual waiting time at their offices, waiting in the street for hours to get into the office, discourteous security, etc. People in attendance requested the consuls to streamline these processes at Cox and Kings. Cox and Kings Ltd. held meetings with GOPIO officials in New York and Washington DC. The officials present at the New York meeting on Sept. 13th included its Associate VP for Corporate Communications Thomas Thottathil from Mumbai, US Operations head John Nair and New York Regional Head Sumit Sharma. GOPIO was represented by its Founder President Dr. Thomas Abraham, GOPIO-CT Immediate Past President Shailesh Naik, GOPIO-CT Vice President Varghese Ninan, GOPIO-CT Treasurer Viresh Sharma and GOPIO Founding Life Member Ramesh Kalicharan. The discussion were cordial and Cox and Kings agreed with GOPIO officials that there were problems after the take over from BLS because of the backlog of over 18,000 passports in New York alone and similar numbers in other centers. They have sorted out many of the issues, changed security guards and now want to work with the community to remedy these problems. They said that the long lines are no more there and that cox and Kings has streamlined many of the issues. Cox & Kings delegation also met GOPIO-Metro Washington Chapter officials Dr. Zafar Iqbal (President), Mr. Ajay Singh (Vice-President), Board Members Dr. Satish Mishra and Mr. Anand Poojary, and Dr. Renuka Misra, International Coordinator, GOPIO on September 6th. Issues raised included apathy towards customers, untraceable documents, customer unfriendly website, non-responsive telephone service, and most importantly ill-informed staff. The delegation members presented their views acknowledging community’s grievances and informed us that their company had a vast experience and their continued business for over 250 years was basically due to customers’ satisfaction. According to them, they inherited the responsibilities from the previous vendor in a disarrayed condition. In the short period of 3-4 months, most of the backlog has been cleaned up and major complaints have been rectified. They also promised to implement the suggestions given by GOPIO for extended hours and opening of offices on weekends, hiring more professionals, training of staff answering telephone calls, making their website more friendly to applicants, and arranging town hall type meetings with the community. BLS Passport Service moving location from September 22, 2014. Postal applications at the old location will NOT be accepted after Friday, 19th September, 2014. BLS International Services Ltd., service provider for Passport Services for the Consulate-General of India, Atlanta, shall be shifting their premises to a new location with effect from 22nd September, 2014. Are you ready to cheer for MOMS? (August 15, 2014—New York, NY) After a phenomenal success of Dance India Dance North America 2013 and Dance India Dance Little Masters North America 2014, with more than 20 thousand videos, ground auditions across 16 cities, and topping the ratings chart, ZEE TV Americas is all set to open doors for DID Super Moms North America. Super Moms will give a platform to those women who gave up their dreams of becoming a dancer and settled for a career, family, and motherhood. DID Super Moms North America aims to give “Umeed” (Hope) to millions of mothers across North America who aspire to make a name for themselves in the field of dance. First phase starts today with Digital Auditions, where talented moms can log on to www.zeedilse.com/auditions - record or upload a 2 minute audition video along with telling us what makes them a Super Mom! Ground auditions across 16 cities will start from September 15th to September 30th. 50 contestants will be shortlisted for Mega Auditions to be held in October in New York City. 10 finalists will then be selected to compete in DID Super Moms North America Grand finale to take place in December! Sameer Targe, General Manager of ZEE TV Americas says, “Although America is the ‘land of dreams,’ reality is very different. Life comes in the way – kids, school, job, family takes precedence over dreams and gradually, dreams fade away. DID Super Moms North America is our way of giving it back to those moms who gave up their passion for dancing in lieu of family responsibilities. Dance India Dance Super Moms North America: Dance India Dance', the biggest dance platform on Indian television will take viewers by storm with its brand new series – Dance India Dance Super Moms North America. A show that will give a platform to those women who gave up their dream of becoming a dancer and settled for a career, family life and motherhood! DID Super Moms North America aims to give 'Umeed' to millions of mothers across North America who aspire to make a name for themselves in the field of dance. Digital Auditions now open, log on to www.zeedilse.com/auditions to record or upload a 2 min audition video. A pioneer in South Asian entertainment, ZEE TV has become synonymous with unparalleled quality in broadcasting for more than 20 years. As a global brand, ZEE is committed to delivering top notch international content. ZEE in the Americas has established itself as a mainstay in American households, reaching more than 2 million viewers. As a market leader in the South Asian entertainment space since its entry into America in 1998, ZEE is continuously evolving its content to meet the changing needs of the market across genres and languages. As the exclusive distributor of the ZEE channels in the Americas, Asia TV USA Ltd. caters to a wide audience with a growing number of channels, including ZEE TV, ZEE Cinema, ZEE Khana Khazana, Zing, ZEE Business, ZEE Smile, TEN Cricket, ZEE Aflam, ZEE Alwan, ZEE Russia, ZEE Marathi, ZEE Kannada, ZEE Telugu, ZEE Tamizh, Alpha ETC Punjabi, ZEE Bangla, ZEE Salaam, ZEE 24 Taas, ZEE 24 Ghanta and ZEE 24 Ghantalu. In August 2012, ZEE TV became the first South Asian channel to launch in High Definition in the US! The Embassy of India in the USA has awarded the new contract for providing Visa/OCI/PIO/Renunciation of Indian Citizenship Certificate application support services to the Cox & Kings Global Services Pvt. Ltd., to be operational from May 21st, 2014. The current Service Provider, BLS International Limited, will be closing all its operations with regard to Visa/OCI/PIO/Renunciation of Indian Citizenship Certificate support services in the evening of 20th May, 2014 at all locations in USA. Applications in person viz. 'walk-in application" will be accepted by BLS International Ltd till the afternoon of 16th May 2014. Only Emergency Visa applications will be accepted by BLS till forenoon of 20th May 2014. Applications sent through mail upto 13th May 2014 and reaching the BLS International Ltd. on or before 15th May 2014 will be accepted. Thereafter, applicants, who propose to send their applications by mail, may send them, so as to reach offices of the Cox & Kings Global Services Pvt. Ltd. at jurisdictional locations on or after May 21st,2014. 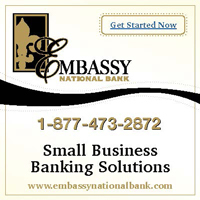 It may also be noted that Banker's checks/ Money order accompanying these applications are drawn in favor of the new service provider Cox & Kings Global Services Pvt. Ltd with the revised service fee. 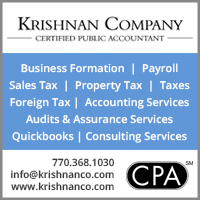 From the 21st of May, 2014 all Visa/OCI/PIO/Renunciation of Indian Citizenship Certificate application support services will be provided by the Cox & Kings Global Services Pvt. Ltd. Applicants, who have already submitted their applications to BLS International Ltd, may check online status of their applications from BLS International Ltd website till May 20th, 2014. The status of these Pending applications will be available on the website of Cox & Kings Global Services Pvt. Ltd. from 21st May 2014 and can be tracked from their website. The website details and locations of the CKGS offices would be announced shortly. SPRINGFIELD, MASS., Mar. 24, 2014 — Hotel owners are experiencing one of the best business cycles in decades, thanks to a slowly rebounding economy, and Massachusetts Mutual Life Insurance Company (MassMutual) teamed up with the Asian-American Hotel Owners Association (AAHOA) at its 2014 Annual Convention & Trade Show last week to help ensure these businesses grow and prosper over the long term to both boost the economy and help Asian Indians pass their legacy on to the next generation. According to AAHOA, its more than 12,000 members own more than 20,000 hotels totaling $128 billion in property value, making this organization a vital one to local and national economies. Through its sponsorship of AAHOA, MassMutual brings essential financial education to its members to help them begin planning for the long-term, including helping them attract and retain the best employees, as well as to prepare for their own exits from their businesses. “Asian Indians have a long tradition of entrepreneurship and have a great business sense, which speaks to their current success” said Nilesh Patel, financial professional with Water Tower Financial Partners, a MassMutual general agency in Chicago, Ill., and participant in an educational panel discussion at the AAHOA conference. “What I’d like to be able to help these successful owners do is take a more holistic view of their businesses, to think about their business 10 years from now and to plan for their own and their families’ futures,” he said. 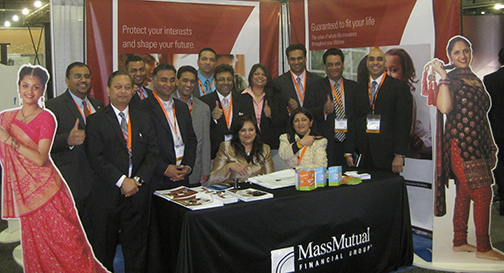 “Our sponsorship of the 2014 AAHOA Annual Convention & Trade Show is a key component of MassMutual’s support of the Asian-Indian market and goal to help families and business owners plan for their own and their families’ futures,” said Nimesh Trivedi, Asian-Indian Market lead at MassMutual. “In fact, a recently released study commissioned by MassMutual, the 2013 State of the American Family Study, took an in-depth look at Asian-Indian families and the challenges that they face in this uncertain economic recovery. It indicated that the two financial priorities for their savings are for their children’s college education and keeping the family financially shielded. As a result, one quarter of Asian Indians struggle between saving to pay for their children’s college education and saving for their own retirement,” he added. For more information about the work that MassMutual does with the Asian-Indian market, visit massmutual.com/asianindian. To read more of the findings of MassMutual’s 2013 State of the American Family Study, visit massmutual.com/soaf. To learn about a financial services career with MassMutual, contact Nimesh Trivedi at 413.744.1244. Founded in 1851, MassMutual is a leading mutual life insurance company that is run for the benefit of its members and participating policyholders. The company has a long history of financial strength and strong performance, and although dividends are not guaranteed, MassMutual has paid dividends to eligible participating policyholders consistently since the 1860s. With whole life insurance as its foundation, MassMutual provides products to help meet the financial needs of clients, such as life insurance, disability income insurance, long term care insurance, retirement/401(k) plan services, and annuities. In addition, the company’s strong and growing network of financial professionals helps clients make good financial decisions for the long-term. (New York, NY – March 14, 2014) ZEE Cinema has partnered with the South Asian International Film Festival (SAIFF) as a signature partner. The festival opened with a ‘Monsoon Shootout’ and capped offwith “The Good Road”. Other filmsincluded in the roster were “Animal State” “Ankhon Dekhi” “First Sight” “I.D.”“Qissa” “Siddarth” “Tasher Desh” and the centerpiece feature, “Good Morning,Karachi.” The line-up showcases a combination of films from India, Pakistan,Nepal, Sri Lanka and Bangladesh. SameerTarge, General Manager of ZEE TV Americas added, “ZEE TV Americas has had along-standing commitment in providing South Asian viewers outstanding entertainmenthere in the U.S. and abroad, and it was only a matter of time before thelargest South Asian TV platform and largest Film event in the U.S. would cometogether in order to continue producing memorable cinematic and culturalexperiences for its audiences. A pioneer inSouth Asian entertainment, ZEE TV has become synonymous with unparalleledquality in broadcasting for more than 20 years. As a global brand, ZEE iscommitted to delivering top notch international content. ZEE in the Americas has established itself as a mainstay in Americanhouseholds, reaching more than 2 million viewers. As a market leader inthe South Asian entertainment space since its entry into America in 1998, ZEEis continuously evolving its content to meet the changing needs of the marketacross genres and languages. As the exclusive distributor of the ZEEchannels in the Americas, Asia TV USA Ltd. caters to a wide audience with agrowing number of channels, including ZEE TV, ZEE Cinema, ZEE Khana Khazana,Zing, ZEE Business, ZEE Smile, TEN Cricket, ZEE Aflam, ZEE Alwan, ZEE Russia,ZEE Marathi, ZEE Kannada, ZEE Telugu, ZEE Tamizh, Alpha ETC Punjabi, ZEEBangla, ZEE Salaam, ZEE 24 Taas, ZEE 24 Ghanta and ZEE 24 Ghantalu. In August2012, ZEE TV became the first South Asian channel to launch in High Definitionin the US! The South Asian International Film Festival is inits tenth year of cinematic features from South Asia. SAIFF is a not for profit organization thatis also the largest premier destination for South Asian/Indian filmmakers inthe United States focusing on dynamic, visionary independent cinema.